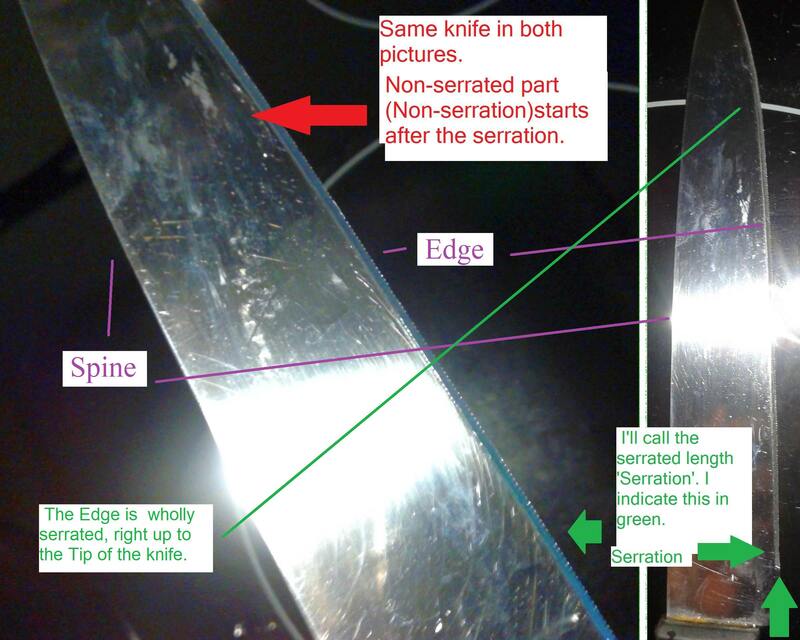 This post recommends having serrated knives sharpened by professionals, and not an amateur. I ask about whetstones, steel rod, and pull-through sharpeners. A decent micro-serrated knife stays reasonably sharp through heavy use. I have two (probably only Ikea own brand, or even supermarket own brand). They're not useful for everything, even brand new, but are generally handy (a little more detail in an old answer of mine). I've also had some even cheaper similar knives (with the intention of keeping them in work for making sandwiches and that kind of thing). They were fairly rubbish new and were soon discarded when they'd lost what little edge they had. These knives tend to be fairly flexible, meaning that they're not suitable for applying brute force to overcome bluntness. It would just about be possible to grind the serrations right off and make it into a straight blade, but even if you have a bench grinder for the bulk removal I wouldn't recommend it unless you enjoy sharpening knives: the knife doesn't sound very hard to start with, or it wouldn't have lost its initial edge so easily, so you'd end up sharpening quite often. Other options include relegating them to undemanding kitchen tasks (again, see my old answer) or using them as garden tools (see the question I answered). Forcing them when blunt isn't a good idea - if these blades slip the resulting cuts are more painful than from a straight blade. They can't really. The purpose of knives with microserration like in the one shown are as an alternative for people who are looking for knives that won't require upkeep. Knives with a much wider serration can be sharpened professionally but it can be tricky. There are many ways to sharpen knives with micro serrations. Its just uncommon. The way I do it is to sharpen the knife like you would normally with a flat edge, and hit the area you want serrations with a 36 grit belt grinder. The last step would be to remove the burrs with a fine scotchbrite belt on the grinder. If you want to do this by hand without any power tools, use a triangular needle file to sharpen each individual tooth. Not the answer you're looking for? Browse other questions tagged sharpening or ask your own question.